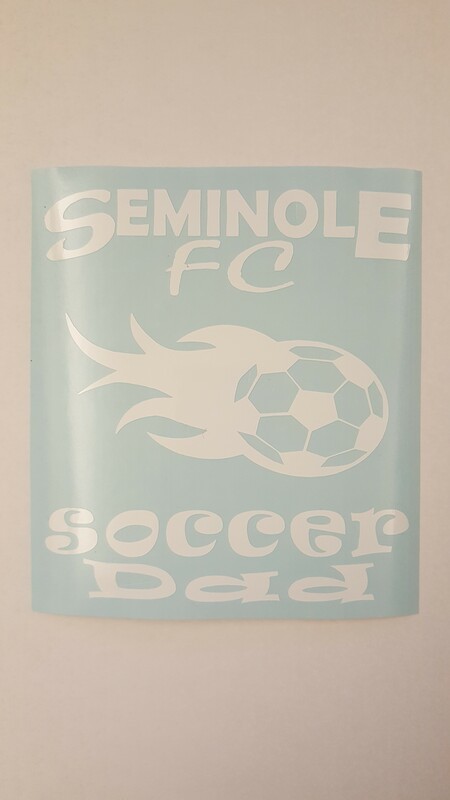 Decals are made from White Glossy Permanent Outdoor Vinyl, and can be placed on any smooth surface. 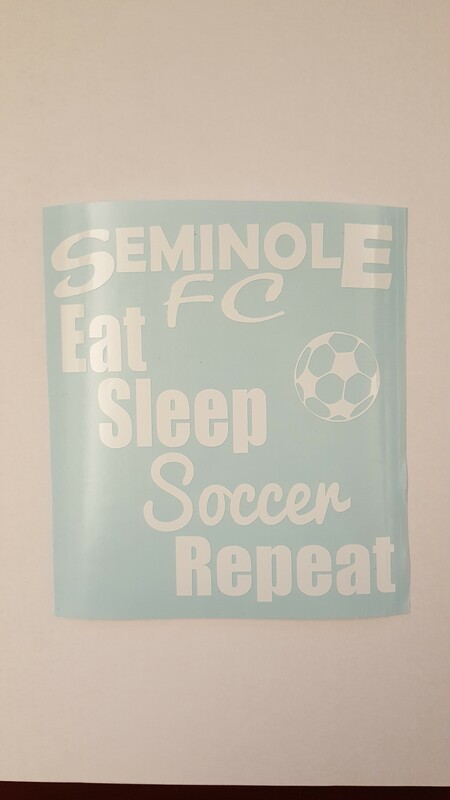 You will be sent an email through our online payment system called Square, to process payment. 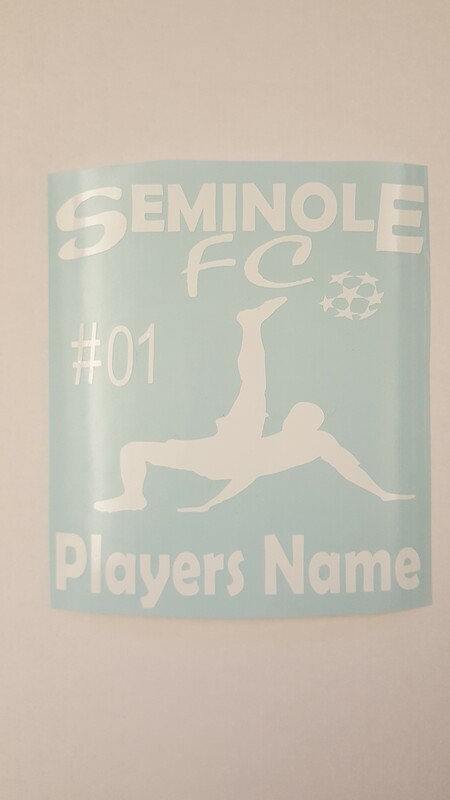 Please allow 5-7 days after payment is received for your decals to be made. 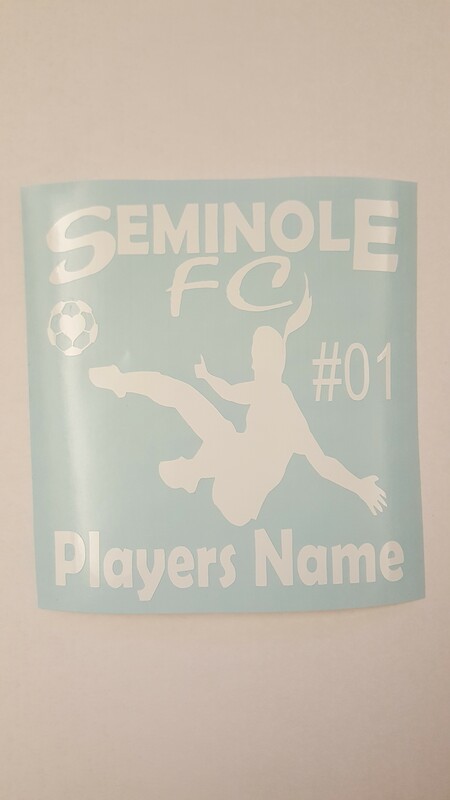 You will be contacted when they are completed to arrange a time for pickup at the Soccer Fields or to make other arrangments. 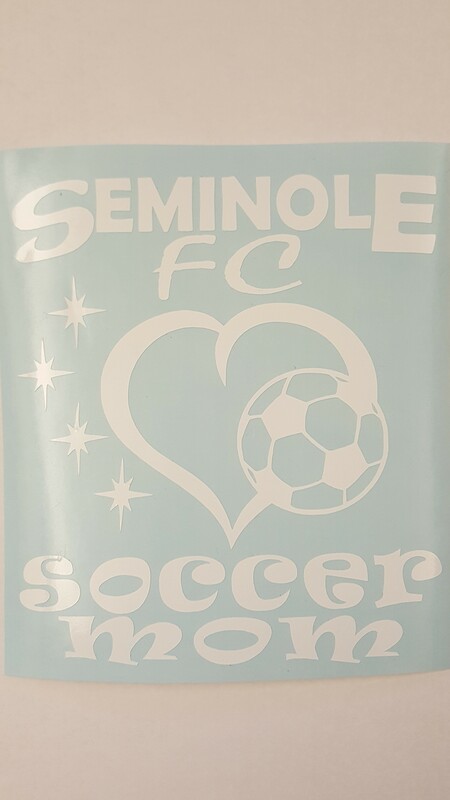 Thank you for supporting Seminole FC!